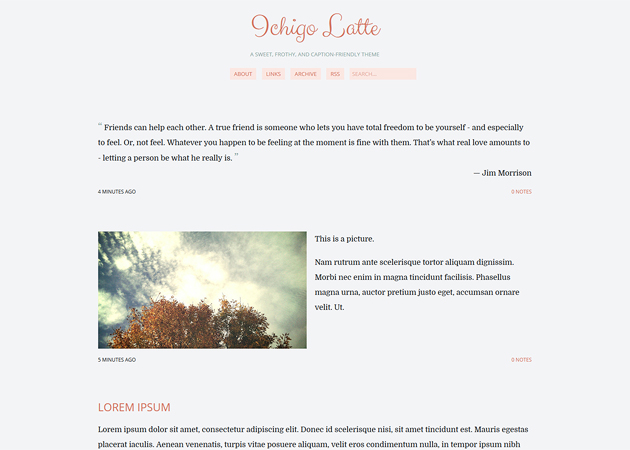 Sweeten your blog with Ichigo Latte! 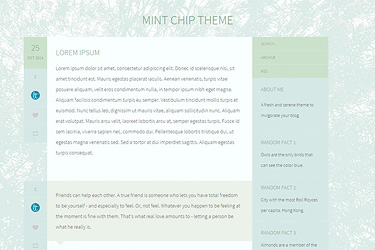 A one-column theme perfect for text-heavy posts and captions, it also comes with customizable colors and backgrounds as well as a bottom bar. Place a custom links list, twitter feed, or liked posts for easy access. 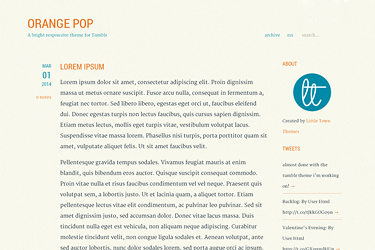 A bright, responsive theme with a splash of citrus.